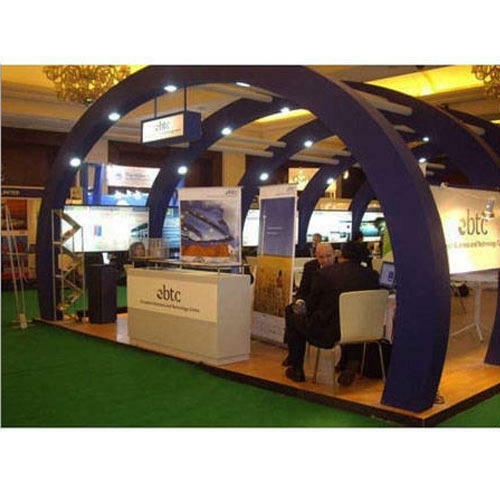 We are the leading manufacturer and supplier of Exhibition Stalls & Displays. We also offer Exhibition Stall Designing and fabrication Services. Quantum is pioneer in Exhibition Stall Designing, Fabrication and Retail Management services as per client requirements of timeline, quality and cost. We have carved a niche in rendering superior services of Retail & Interior Designing and Exhibition Management Services . We offer end to end solutions for a successful exhibition experience & work in stages to ensure client's requirements are kept in mind at every stage. We conceptualize, visualize, design and execute the entire exhibition & retail turnkey projects to suit our client's requirements.